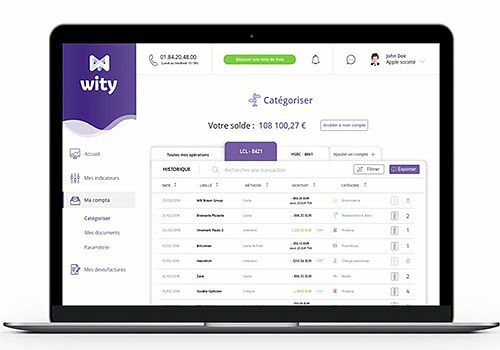 WITY is the 1st 100% digital global accounting firm. We offer the best of digital technology combined with quality human support. The WITY online space saves time and visibility on your accounting and management. Your bank account is linked to your WITY space, your banking transactions are pre-categorized, all you have to do is categorize them. The WITY online space is secure, so you can store your documents and receipts. You benefit from a dashboard to know all the key indicators of your activity. To answer all your accounting questions, you benefit from a dedicated accountant to support you and a responsive customer service. If you need advice, our accountants, our social department and our lawyers will help you. The online accounting software is constantly evolving to meet the needs of entrepreneurs and to be both a modern and humane accounting firm. Whether you are at your desk or on the move, access your accounting via the EBP tool.